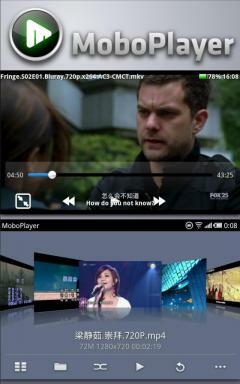 MoboPlayer - Watch any of your videos on an Android phone without conversion, anytime and anywhere. · Fixed: Force close while share videos' info sometimes. · Added: Recover the play state while switch between the "normal interface" and "suspending window". · added: Setting of "save decode mode"
· fixed: Continue to play while the screen is unlocked. · added: Close scanning interface automatic. · fixed: Can't save the play state while checked "Continue to play while off-screen"
It is my favorite player. 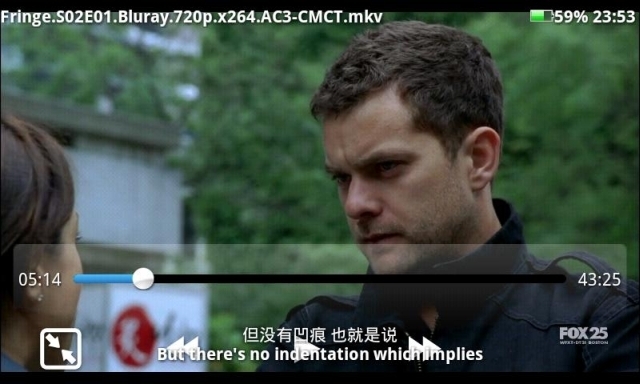 I always use it as third party player in DLNA ArkMC applicati which streams file over the home network.